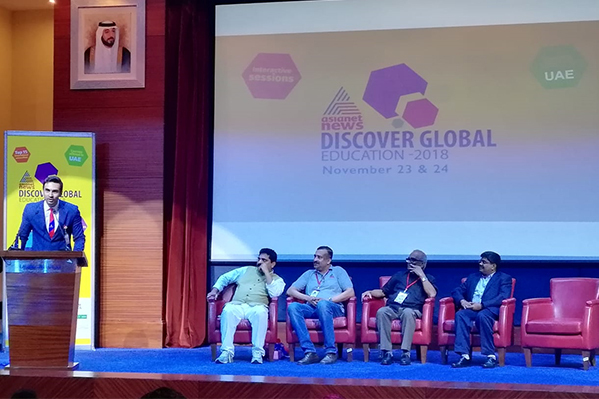 Gulf Medical University participated in “Discover Global Education 2018” a career oriented educational fair organized by Asianet Satellite Communication Channel for the first time in the United Arab Emirates. 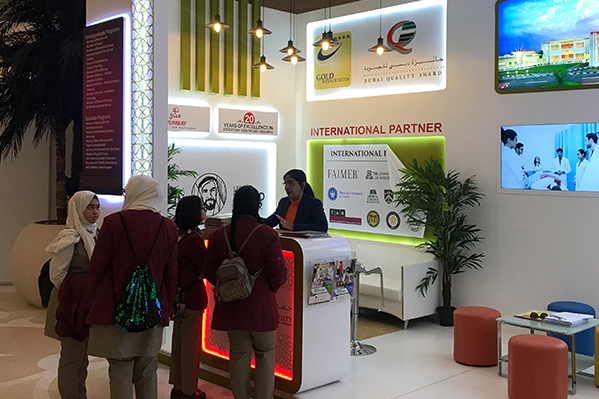 More than 20 national and international universities showcased their various educational programs which was scheduled on 23rd and 24th November 2018 at Chamber of Commerce, Sharjah. 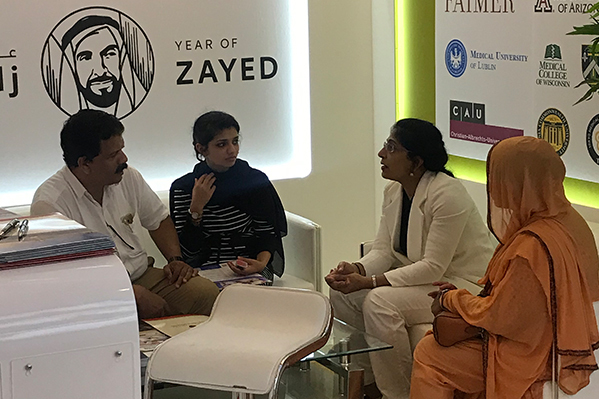 Students from various schools across UAE walked in to the event in big volume with their parents to understand better career opportunities worldwide. 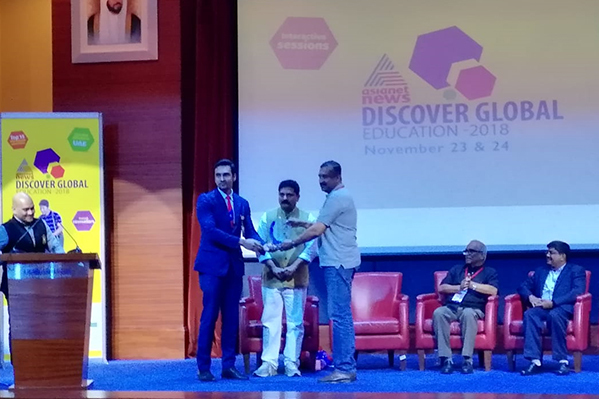 An interactive session was conducted with Mr. T. P. Sreenivasan (former Indian diplomat to USA and Head of the Council for Higher Education, Kerala, India) Gulf Medical University received special appreciation and award of participation certificate from Amit Gupta, Managing Director and Group CEO, Asianet News Media & Entertainment Pvt Ltd.